Start-upsStart-ups use AWS for everything their app needs. EnterprisesEnterprises use AWS to deliver IT innovation globally while reducing costs. Government & EducationPublic Sector organizations use AWS to improve agility while reducing costs. Get StartedStart developing on Amazon Web Services using one of our pre-built sample apps. DownloadsAll of the official SDKs, IDE Toolkits, and Command Line Tools available for download here. APN Partner SolutionsFind validated partner solutions that run on or integrate with AWS, by key vertical and solution areas. Financial ServicesCustomer applications, data analytics, storage, compliance, and security in the cloud. Economics CenterFind calculators and other tools to help you lower costs with the AWS Cloud. Security CenterLearn about AWS Cloud security and how to build secure applications. Architecture CenterLearn how to build scalable and reliable applications in the AWS Cloud. AWS AnswersGet clear guidance from AWS architects and engineers on common user questions. Thank you for your interest. The event is now full and registration is closed. Thank you! You have been added to the wait list. We will notify you via email if a spot opens up. Papalote Museo del Niño, Av Constituyentes 268, Daniel Garza, 11830 Mexico City, Mexico. 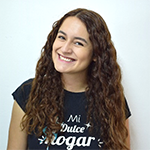 CEO of Mi Dulce Hogar, Estefania Hernandez Barajas at age 22, founded the company, a platform dedicated to providing on-demand cleaning services and generating formal jobs for domestic workers. Last February, Estefanía was named by Forbes Mexico Magazine as one of his "30 promises for this 2018". José is Associate Director of VARIV Capital and a member of the board of Directors of Kueski, Neumarket, and ComproPago, among other companies of the firm's portfolio. 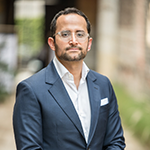 Prior to VARIV, José was Director of Capítulo Mexicano de Cognodata, a Spanish consultancy focused on developing mathematical and analytical models aimed at managing risk and improving the strategy of key clients such as banks, retailers and telecommunications companies in Mexico and Latin America. José also worked as Case Team Leader at Bain & Company, where he directed financial services projects, retail, consumer goods and oil & gas. Previously he worked at Cemex where he unwrapped in several management positions around mergers and acquisitions and strategic planning of the company. José has an MBA from INSEAD (France/Singapore) and specializations in private capital and venture capital from Harvard University. David is financially entrusted with studies in economics, private equity, stock market analysis, risk management, entrepreneurship, transformation and growth by institutions such as Babson College, Institute of Stock market studies attached to the Madrid stock Exchange, University of British Columbia, Association of Stock Exchange intermediaries, Bloomberg and Tec de Monterrey. Program Director, leads the first acceleration program of Startupbootcamp in Latin America, which has the local support of Visa, Fiinlab powered by Gentea, BanRegio, HSBC Mexico, IGNIA, Latinia, EY Mexico and White & Case. 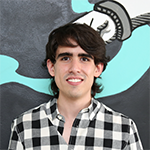 Prior to joining Startupbootcamp Fintech, Eduardo served as Head of Acceleration at Wayra Mexico: Global startup accelerator and Capital Fund seed of Telefónica Group. 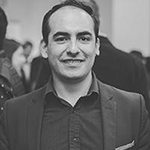 Prior to Wayra, he worked as Liaison Manager for a technology company in the health sector based in Mexico City, managing technical and financial challenges associated with the technology and patents of the company's portfolio. Eduardo graduated from the Institut National des Sciences appliqués of Lyon, France, with a master's degree in engineering. Business Development Manager for Startup & Venture Capital and head of the Startup team in Latin America. He works with Startups, Accelerators and VCs to help them thrive and leverage the Amazon Web Services since 2015. 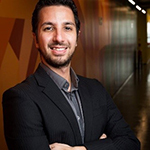 Previously to AWS, he founded his own startup on 2011 becoming one of the largest mobile shopping assistance applications for grocery stores in Latin America that attracted customers such as Unilever and P&G. The company was sold to Buscape, the Latin America leading online comparison shopping (Acquired by Naspers - NPN:JNB). Mechatronics engineer and Master in optimization from Universidad Panamericana Campus Guadalajara. VoxFeed Co-Founder and CTO, a marketplace to connect brands and influencers. Passionate about photography, mountaineering and product design. In 2017 Sofia joined General Atlantic Mexico´s office, a global fund of growth equity with more than USD $28bn of assets under management that has invested more than US $600mn in Mexico. She is responsible for analyzing investment opportunities in Health, Retail & Consumer and Internet & Technology industry, as well as carrying two investments in the portfolio, Grupo Axo and Clip. 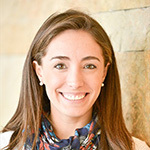 Previously, Sofia was Principal in ALLVP, one of the most active funds of venture capital in Mexico, where she participated actively in the lifting of its second fund of US $36mn as well as in the process of due diligence, analysis and closing of the 13 investments of that Vehicle, with a particular emphasis on health companies and consumer Internet. 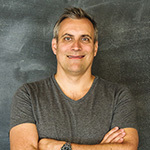 Adam is responsible for Developer Marketing at Amazon Web Services. 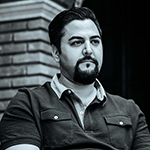 He oversees global technology evangelism, developer engagement programs, community building and startup marketing. His technical interests include fault-tolerant composable service architectures, infrastructure automation, and data science. Prior to joining Amazon, Adam ran Developer Relations for Pivotal, VMware, SpringSource, and BEA Systems. He is a recovering mathematician, aging gamer, occasional swimmer and proud geek parent. Amazon Web Services (AWS) is a dynamic, growing business unit within Amazon.com. We are currently hiring Software Development Engineers, Product Managers, Account Managers, Solutions Architects, Support Engineers, System Engineers, Designers and more. Visit our Careers page or our Developer-specific Careers page to learn more. Amazon Web Services is an Equal Opportunity Employer. © 2018, Amazon Web Services, Inc. or its affiliates. All rights reserved.